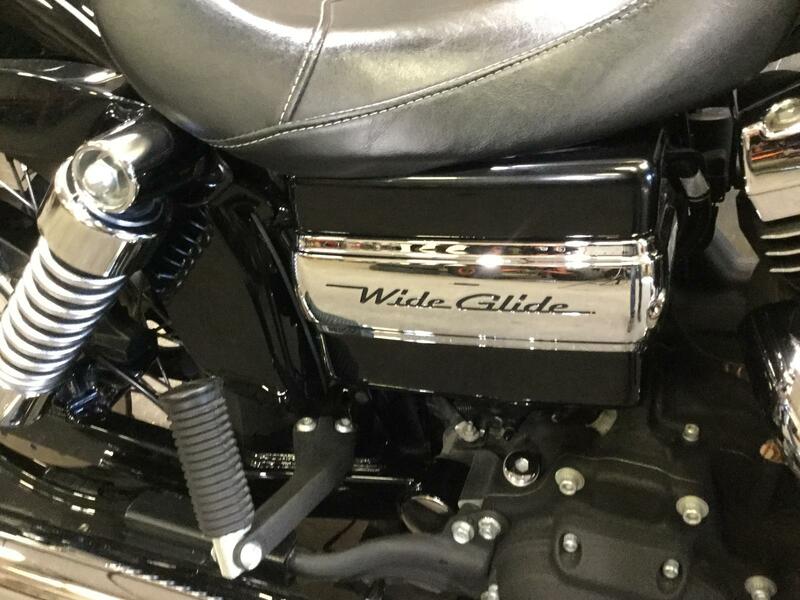 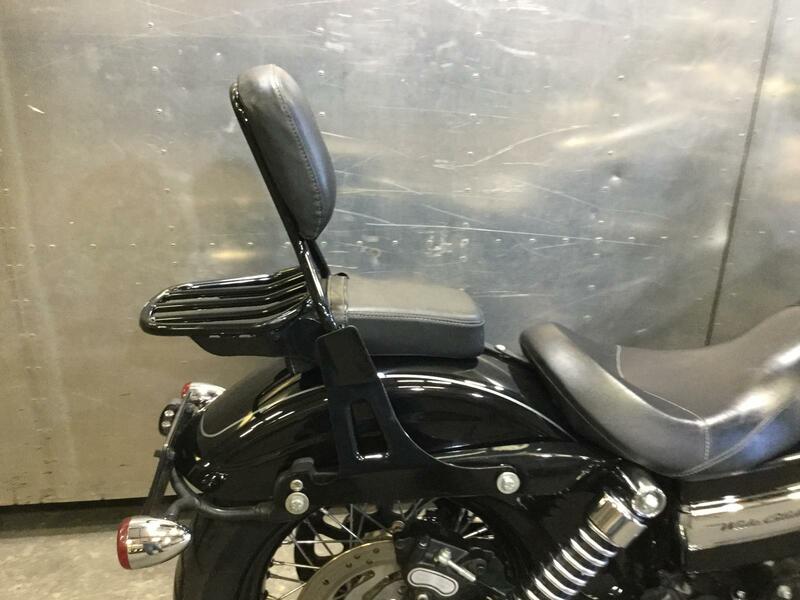 The Dyna Wide Glide motorcycle is all about attitude. 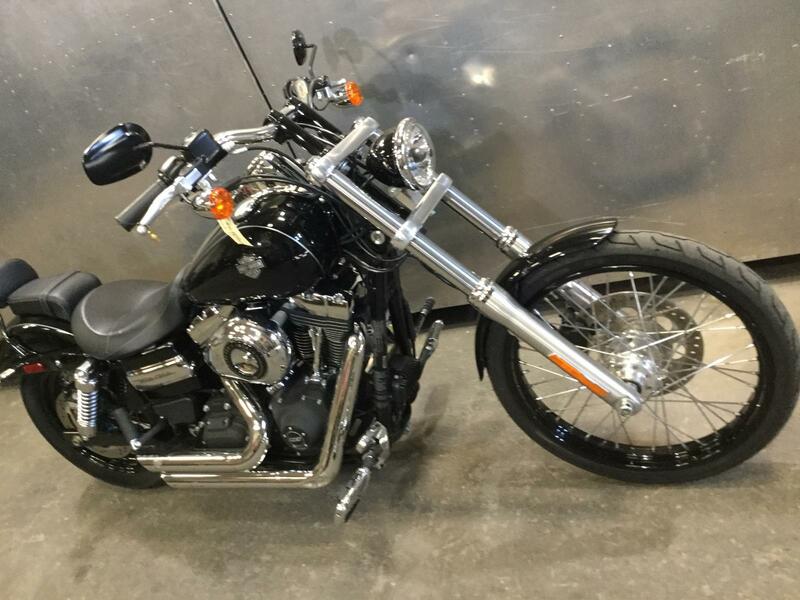 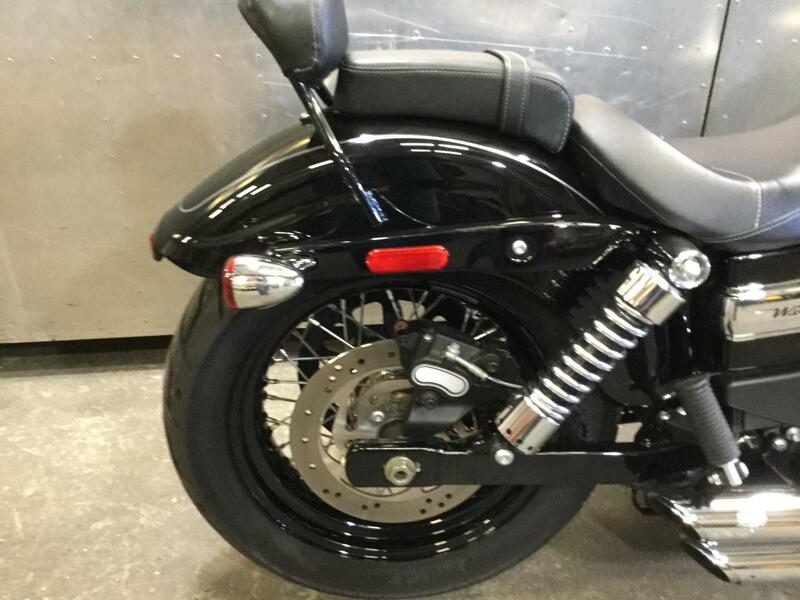 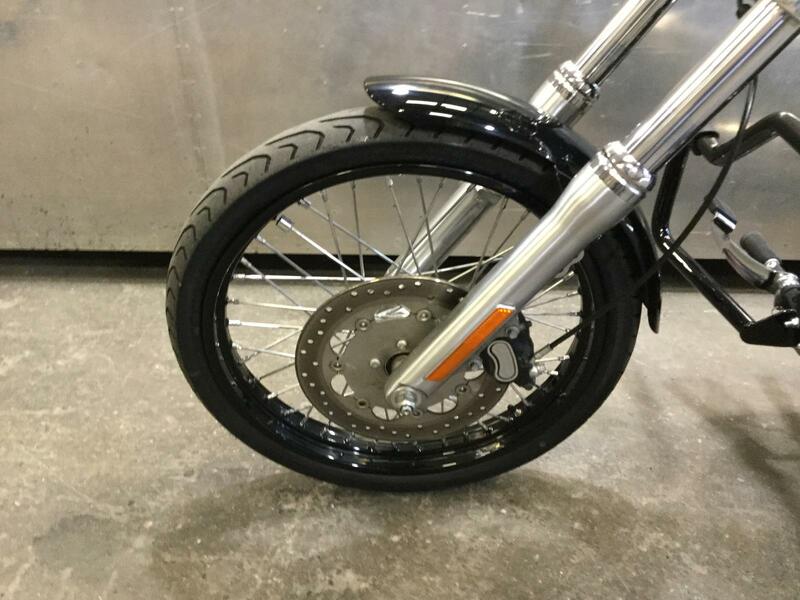 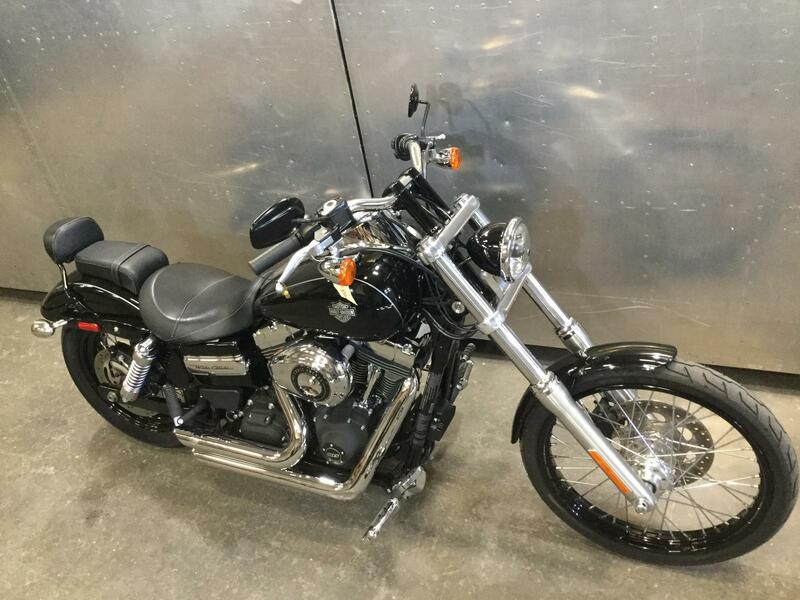 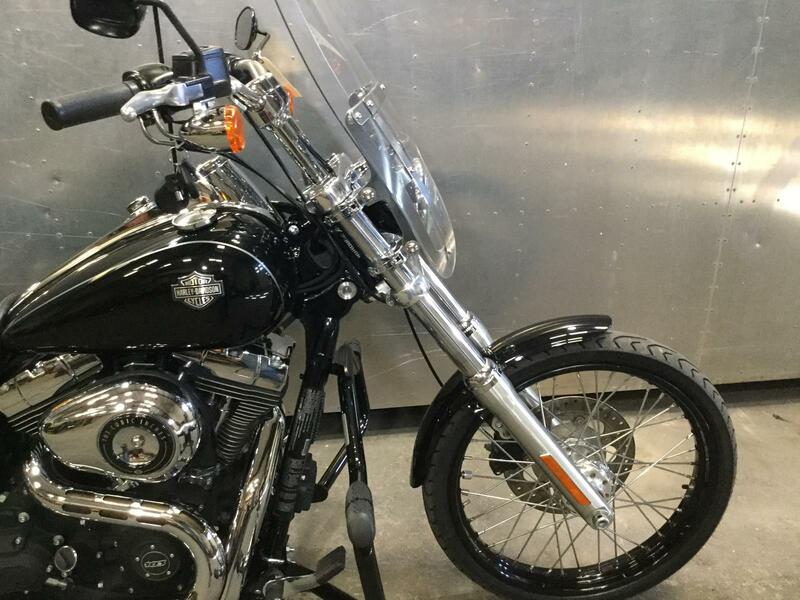 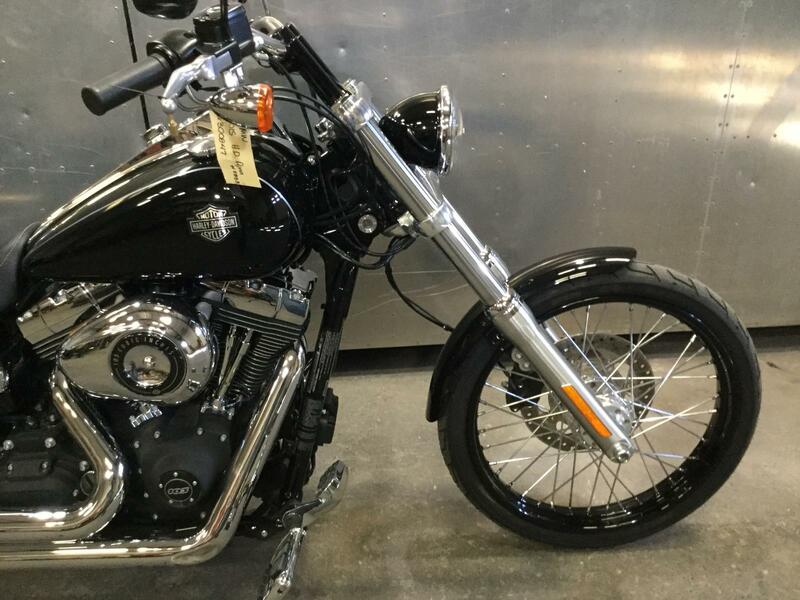 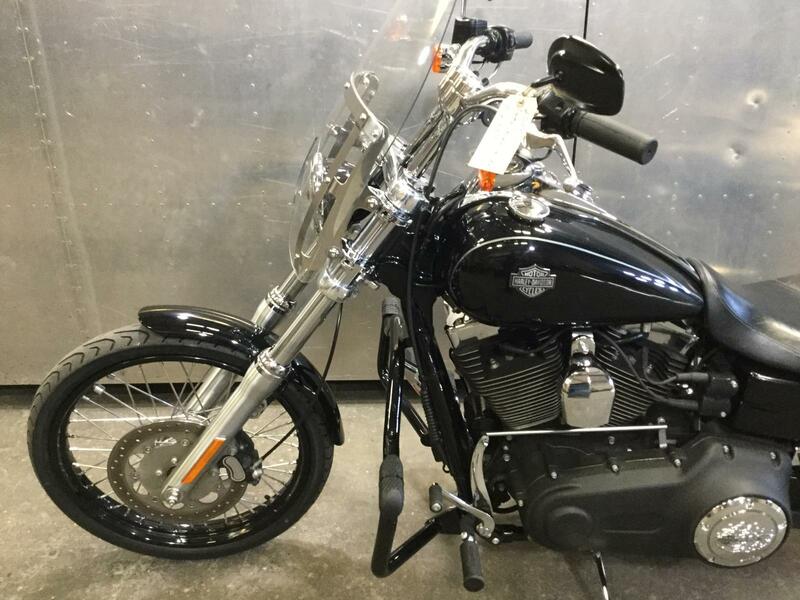 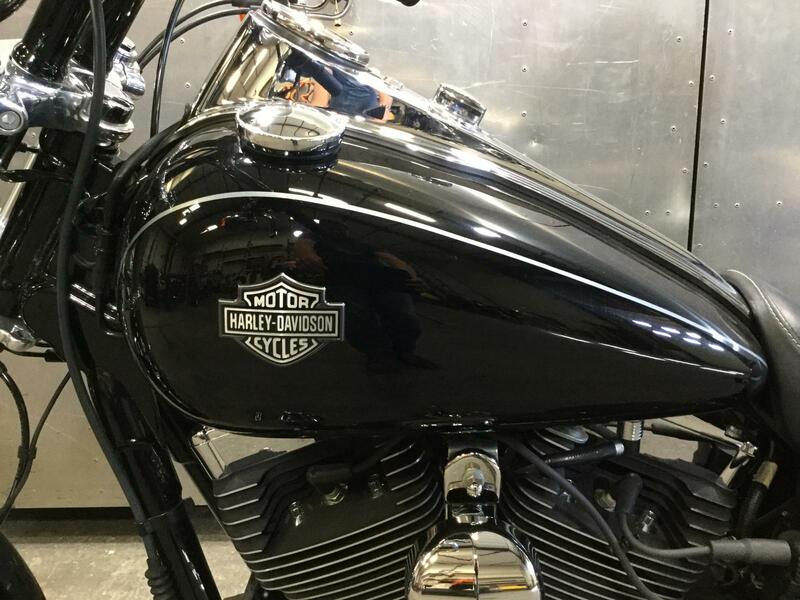 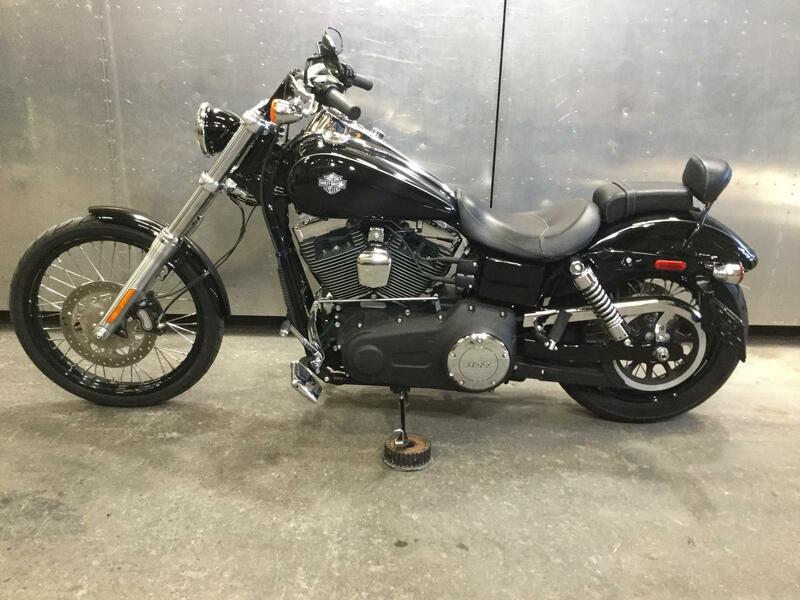 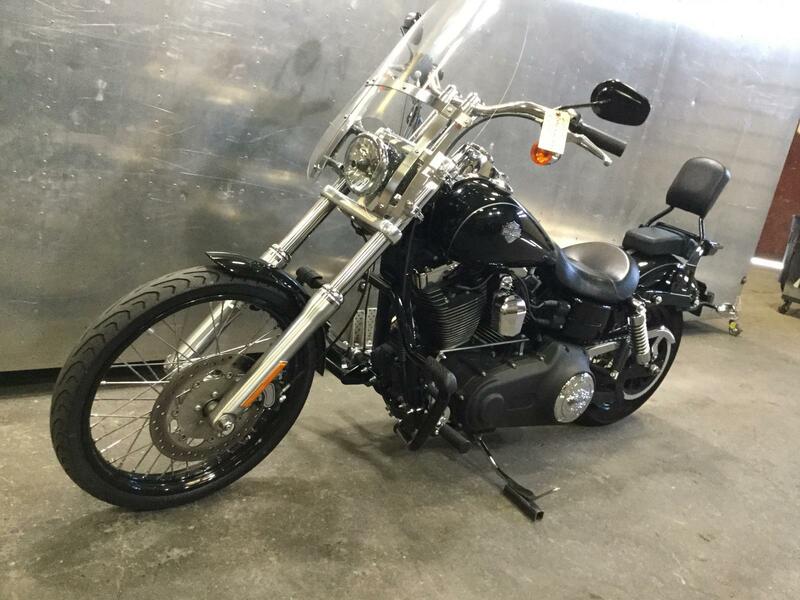 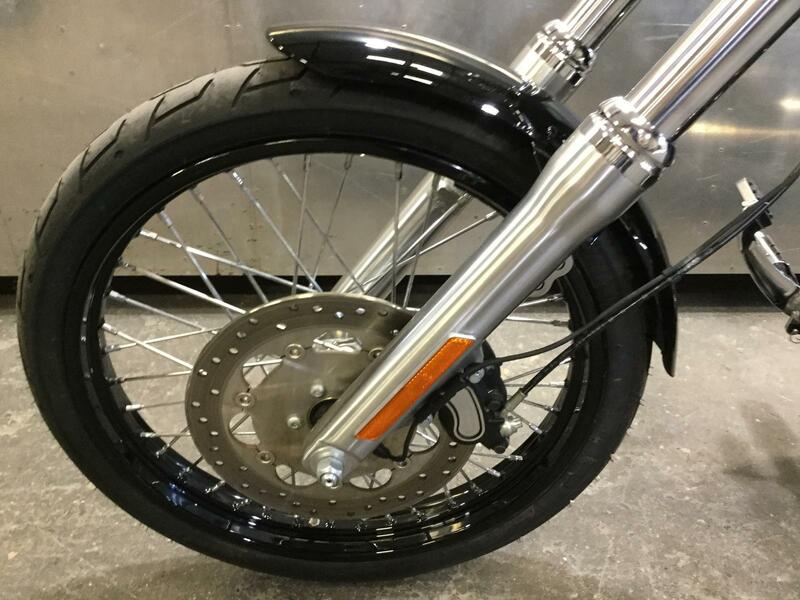 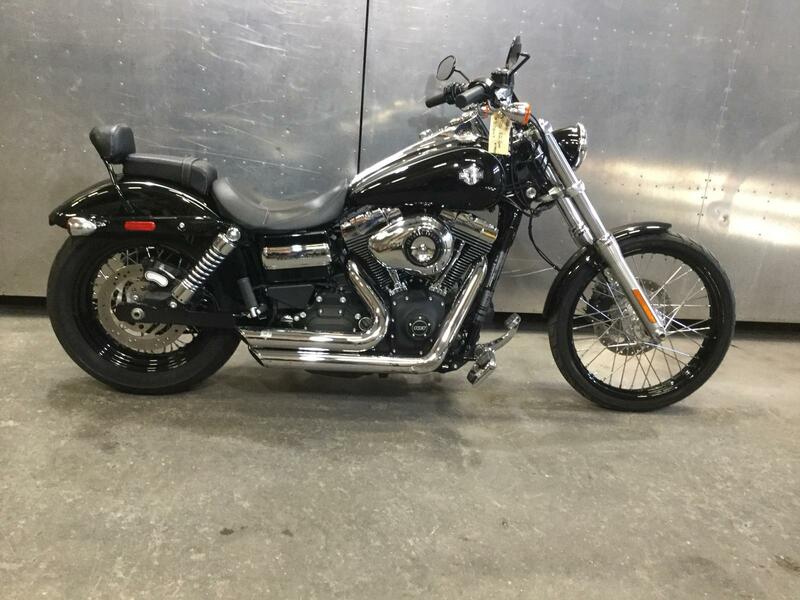 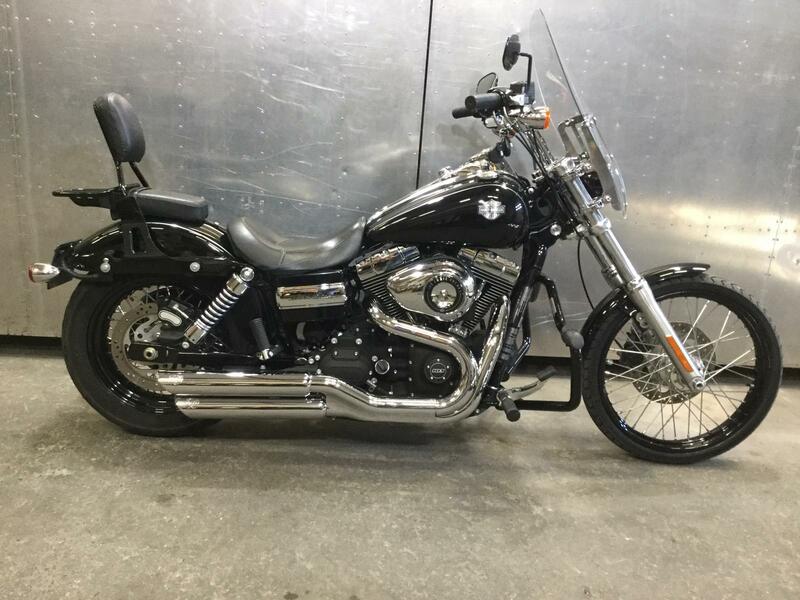 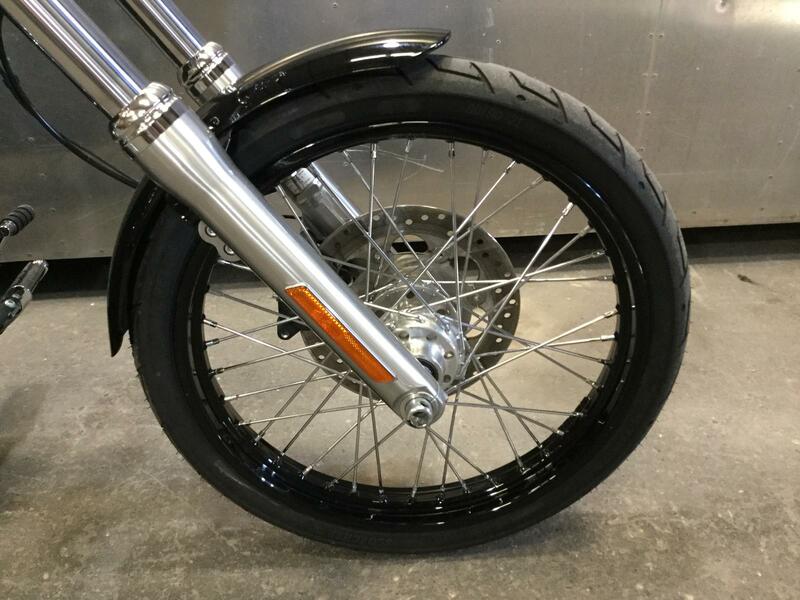 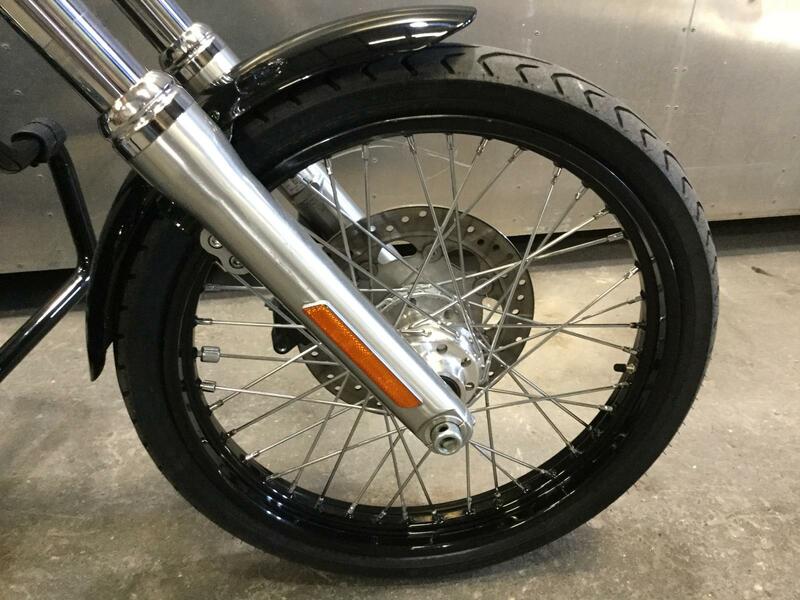 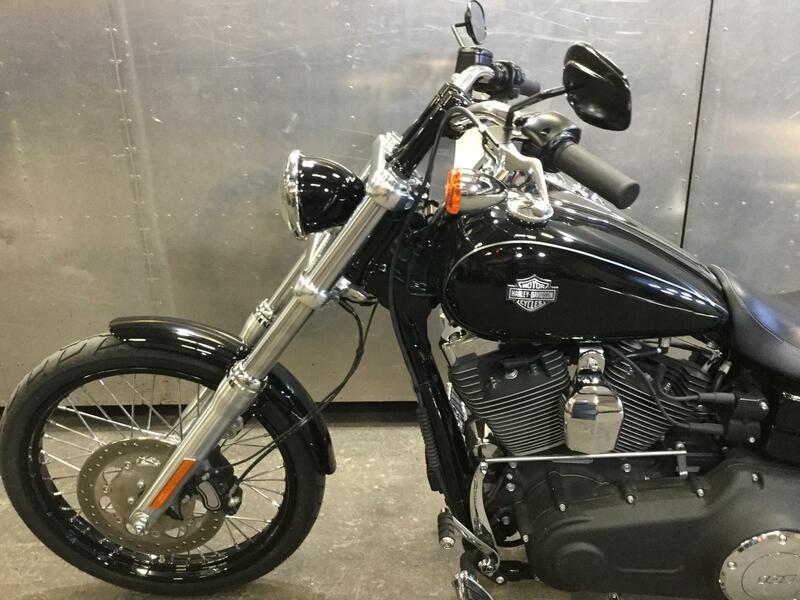 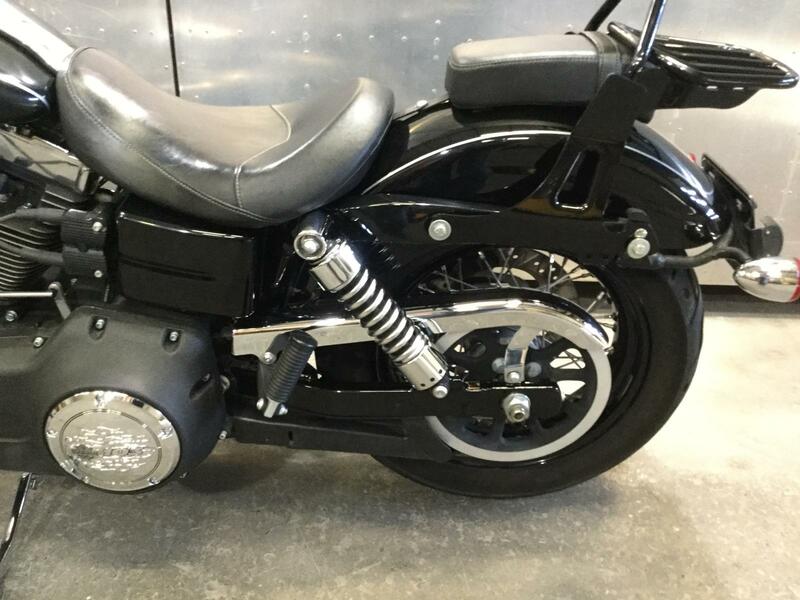 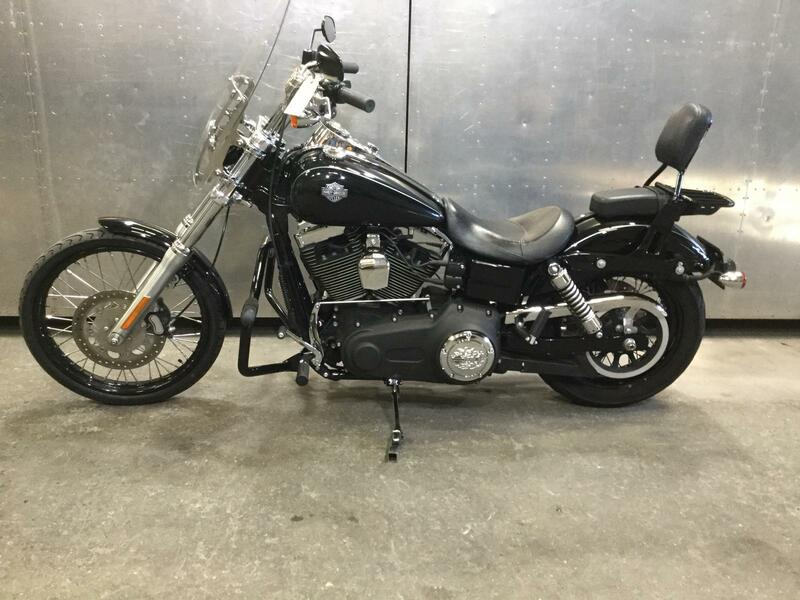 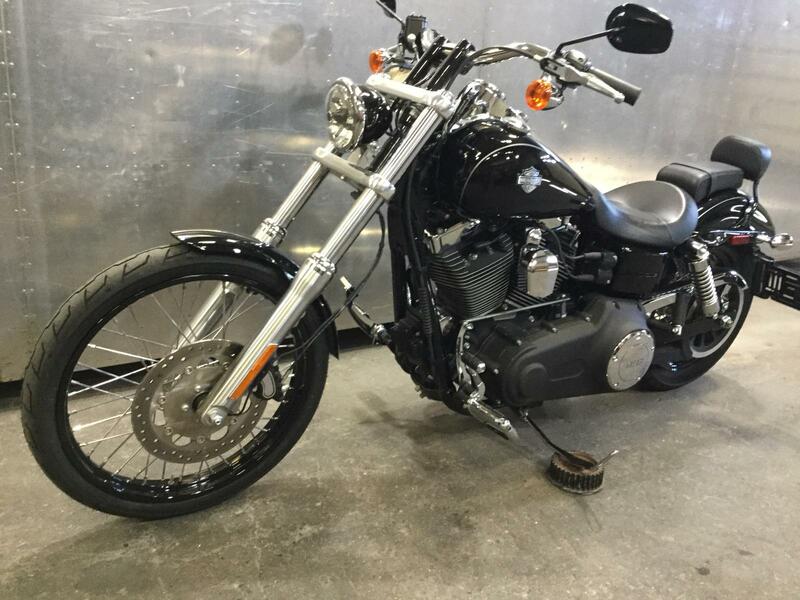 Its tough, dark styling and retro feel, along with a retro price tag, give riders the confidence to sit low and stretch out.The Wide Glide is raw and true to its roots with a chopped rear fender, black rims on 40-spoke laced wheels, a black tank console, “Tommy Gun” exhaust, beefy, raked-out forks and a swept back sissy bar. 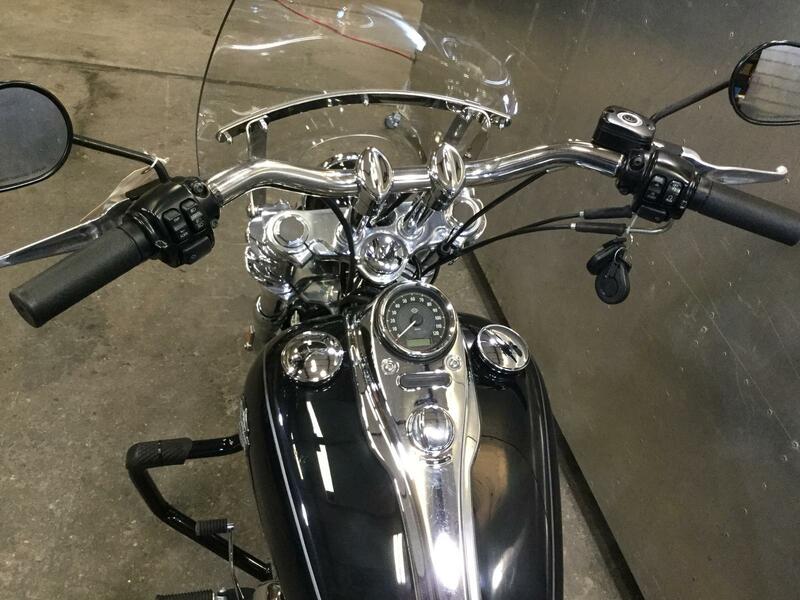 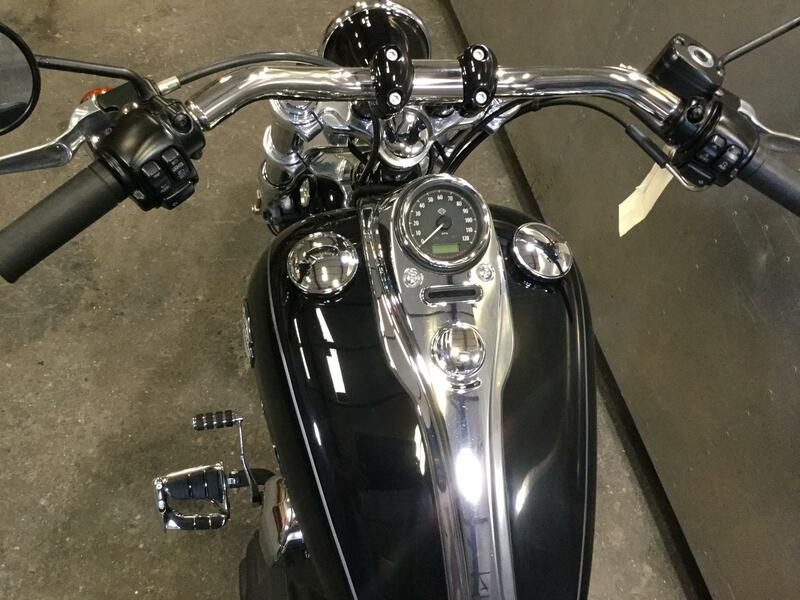 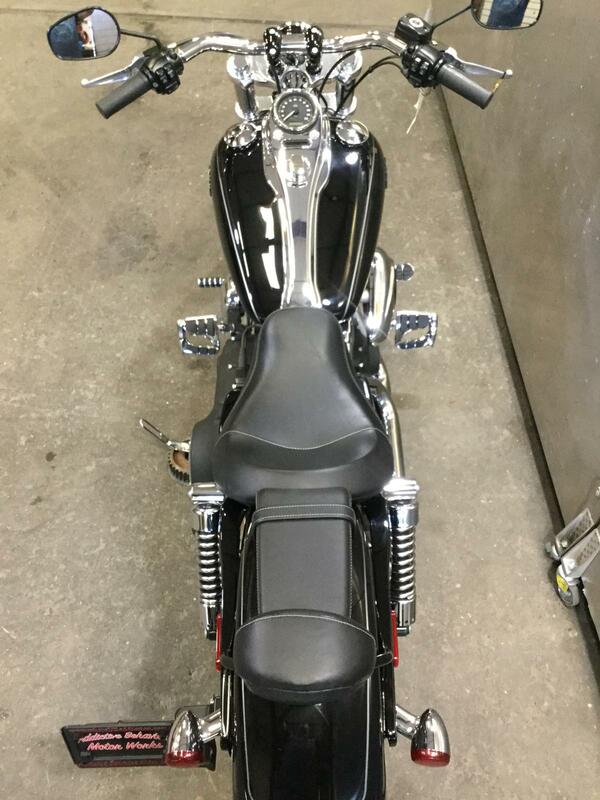 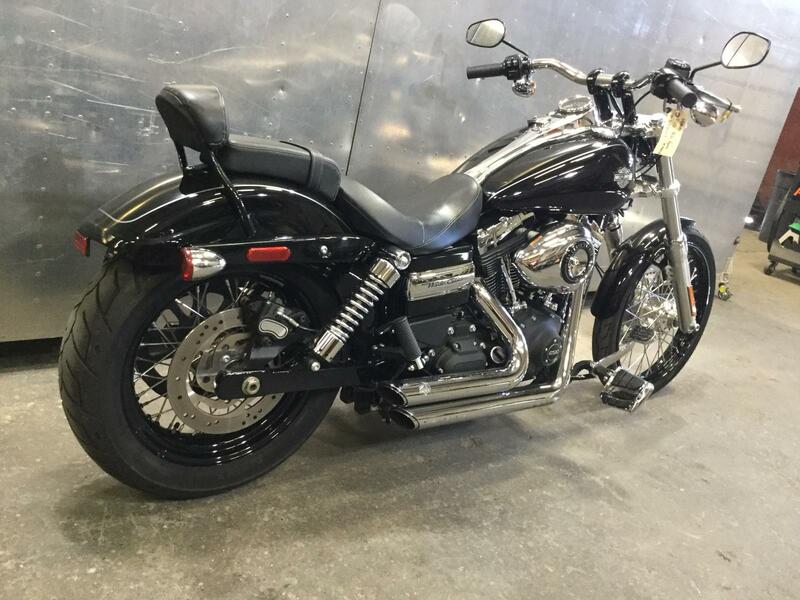 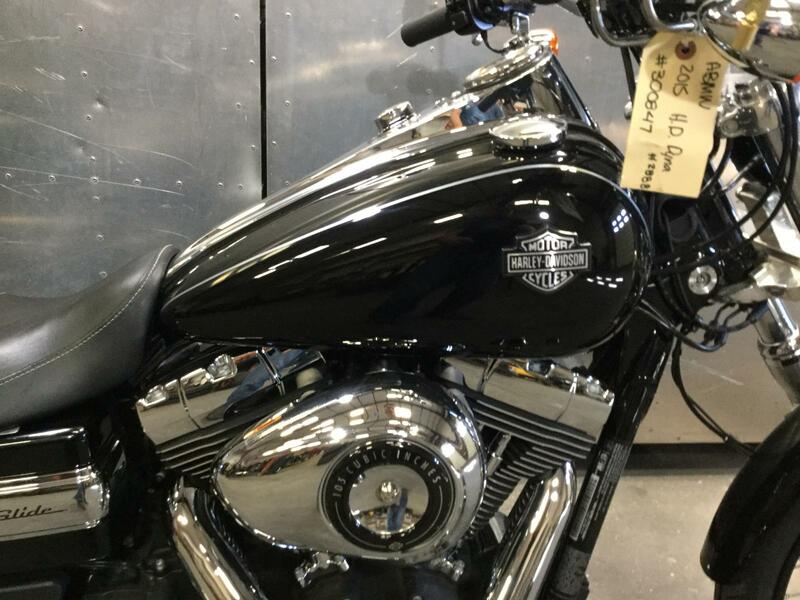 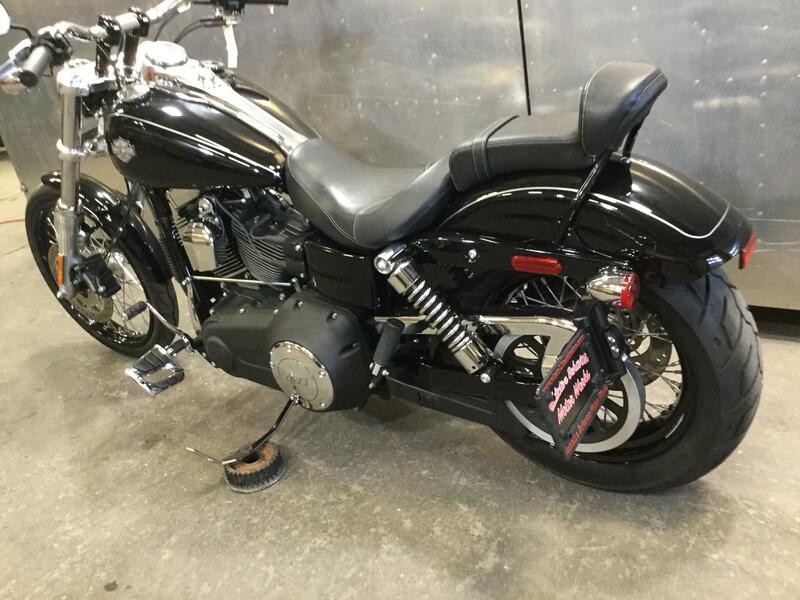 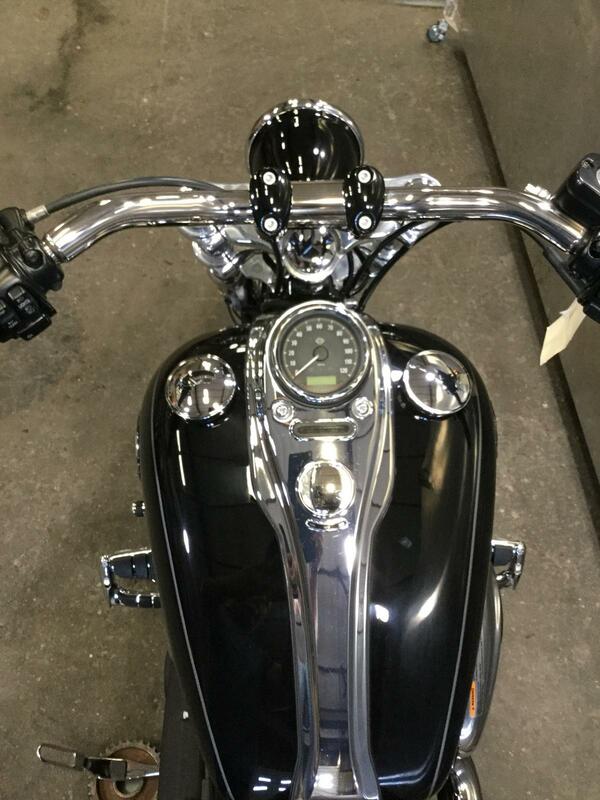 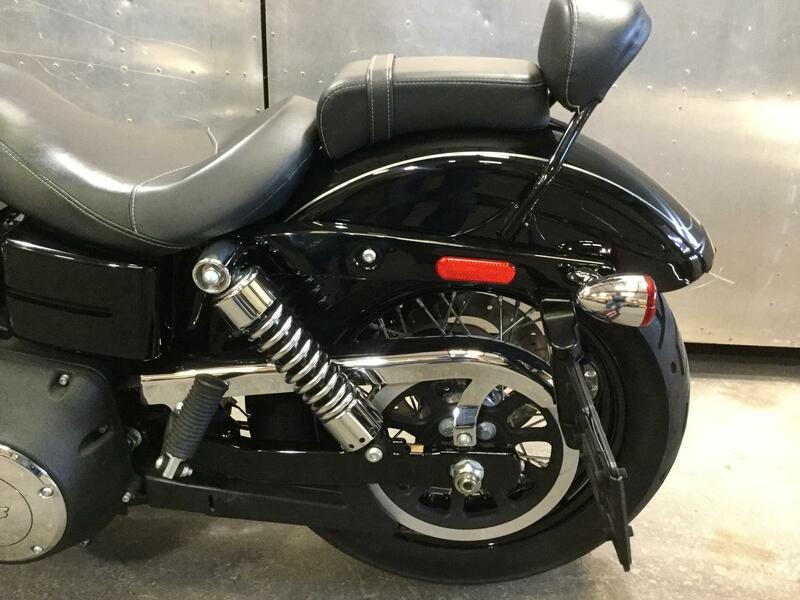 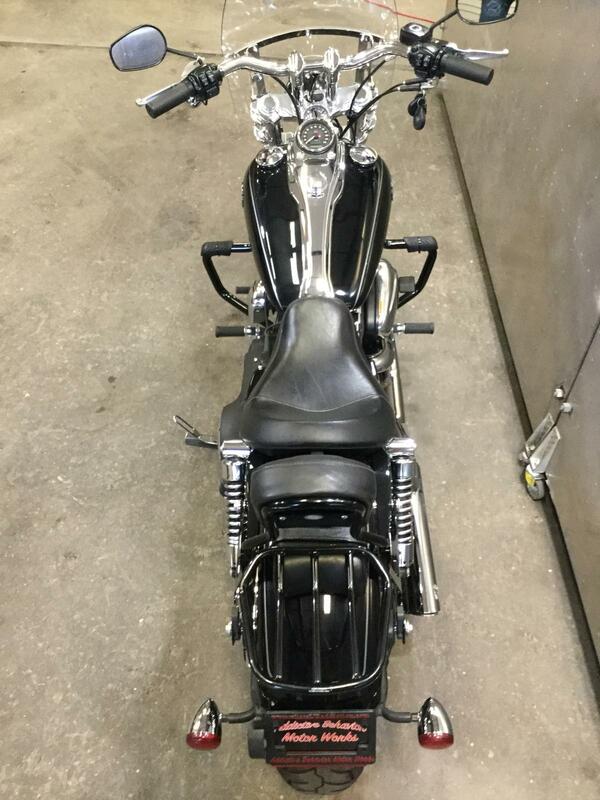 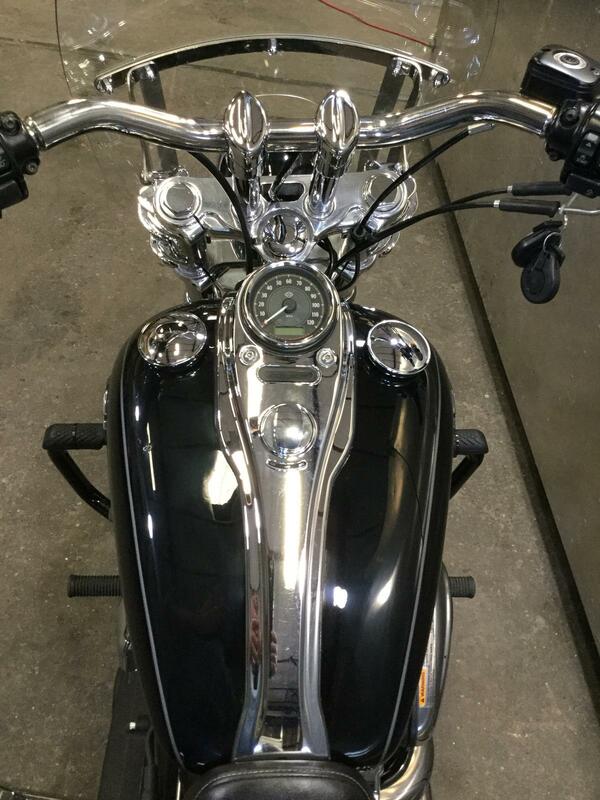 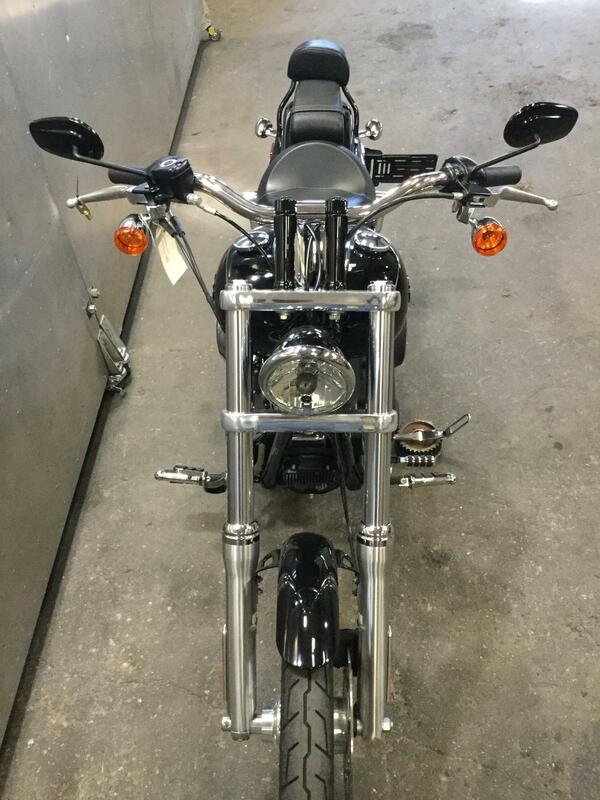 This bike is in excellent condition, it only has 4,629 miles on it. 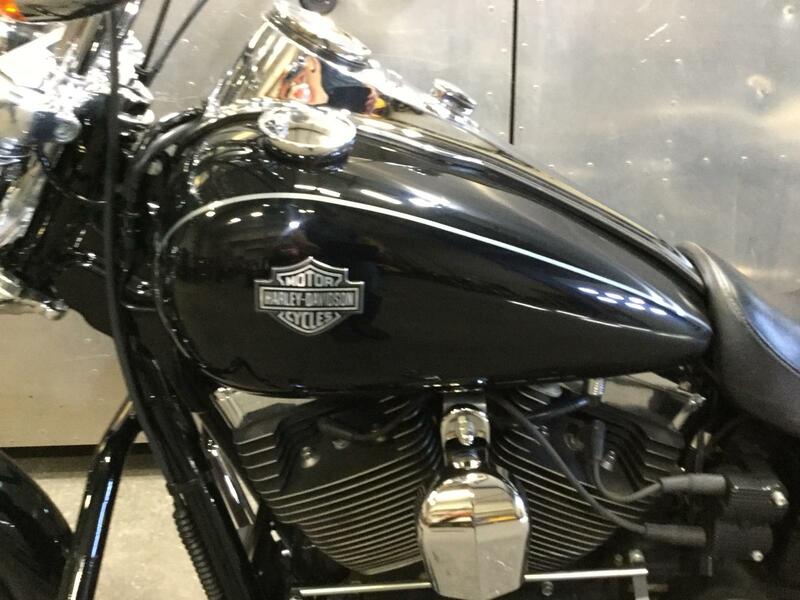 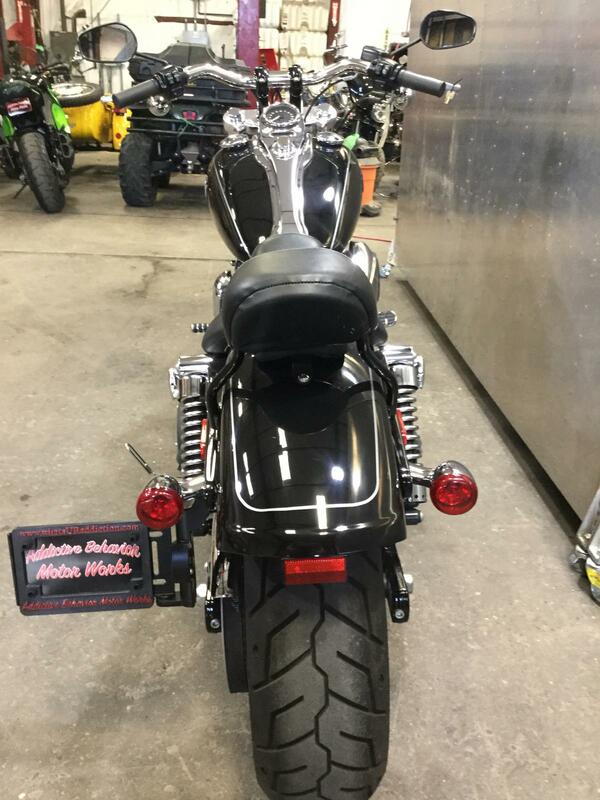 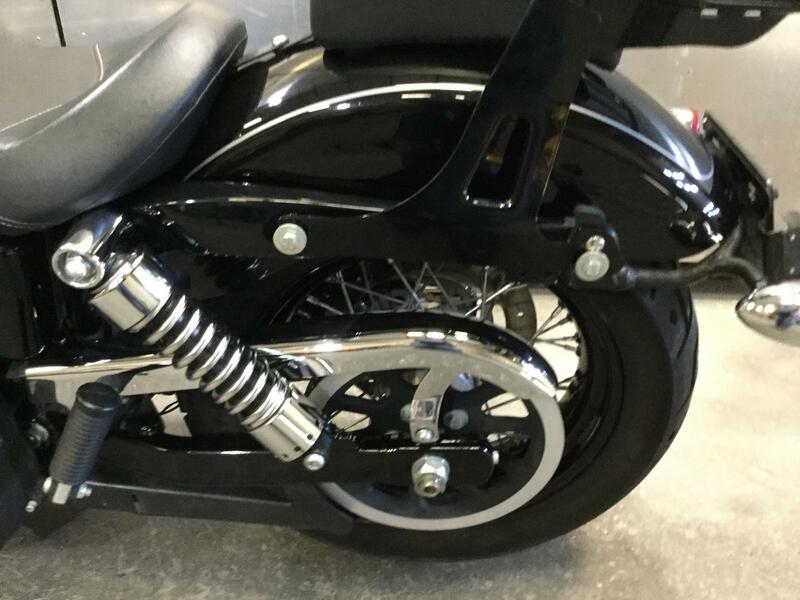 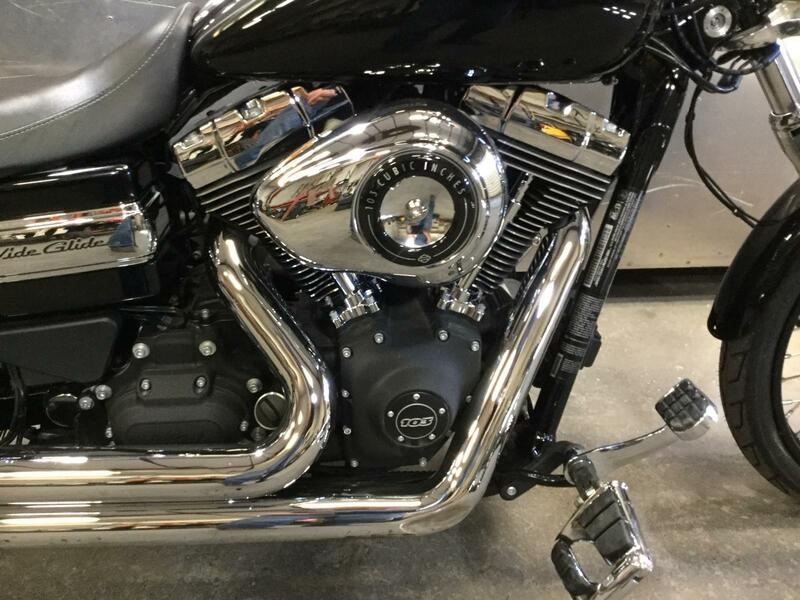 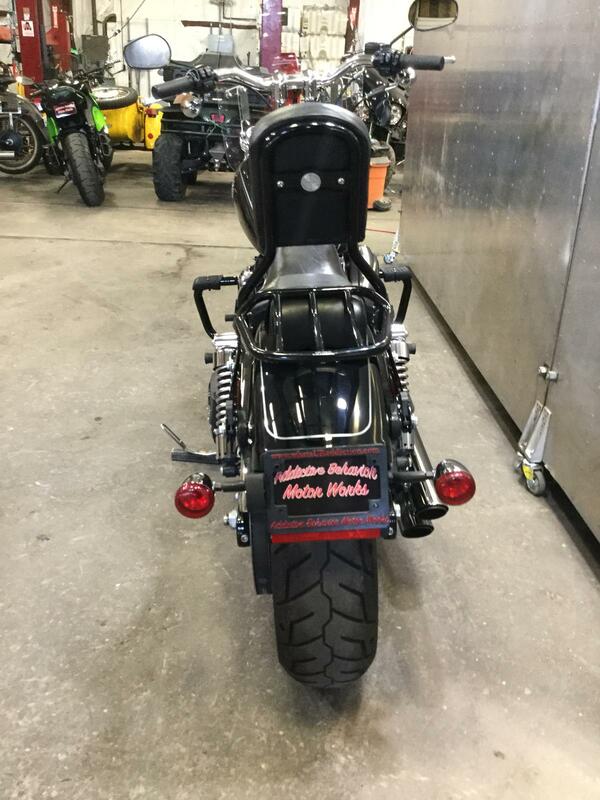 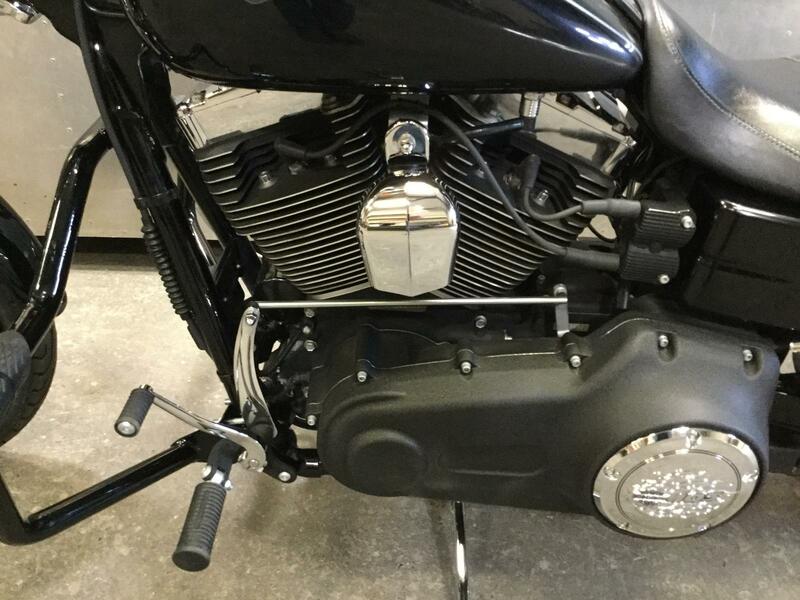 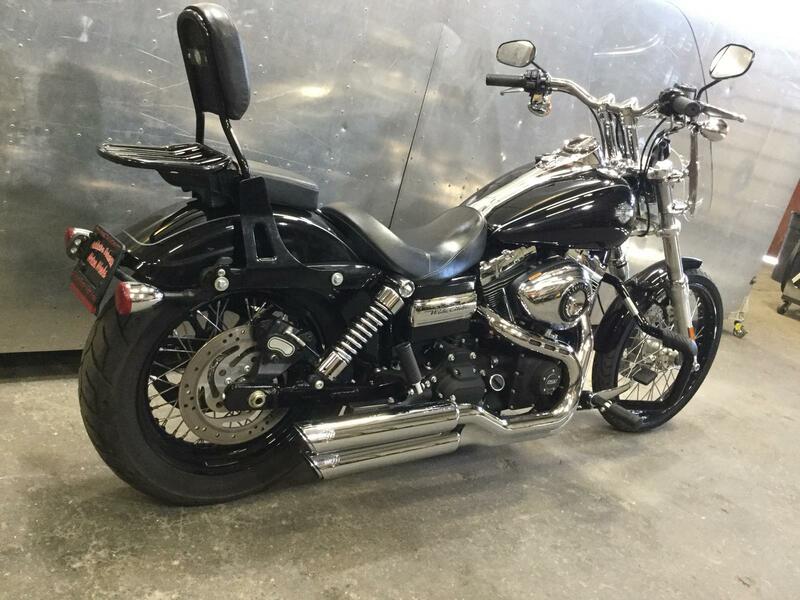 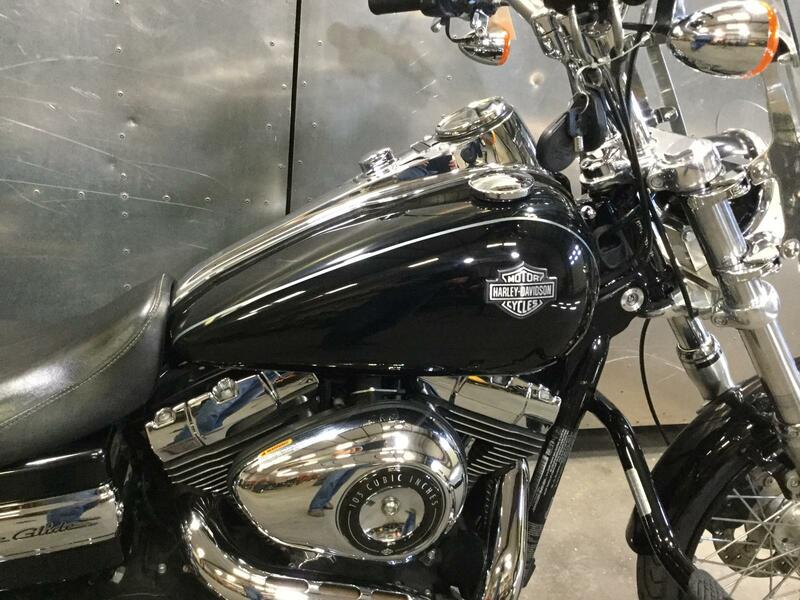 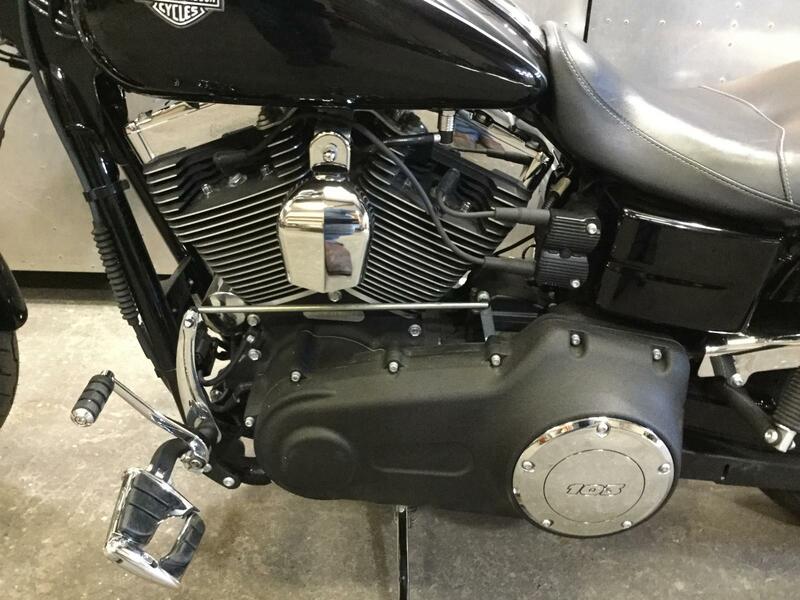 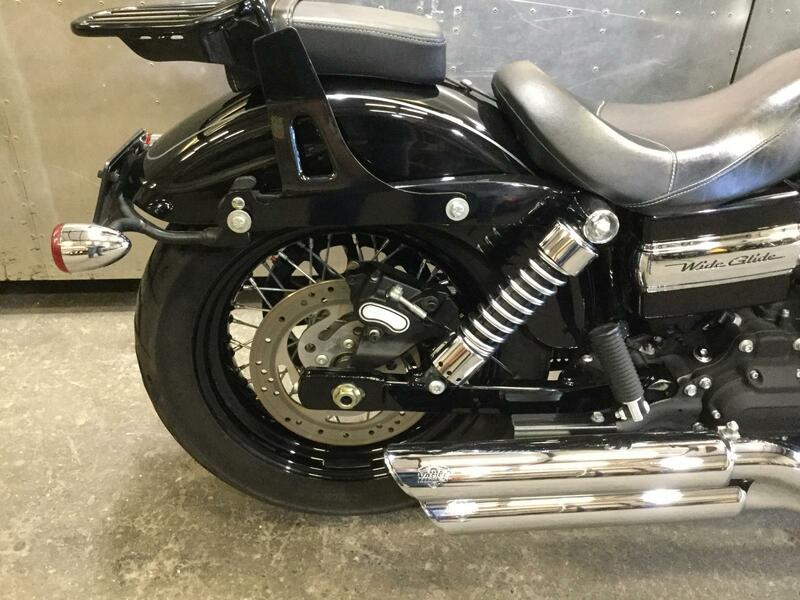 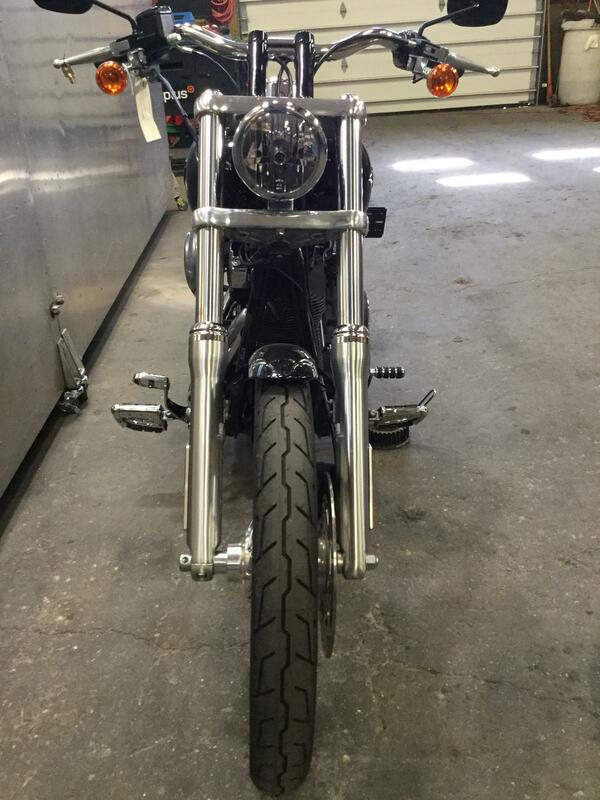 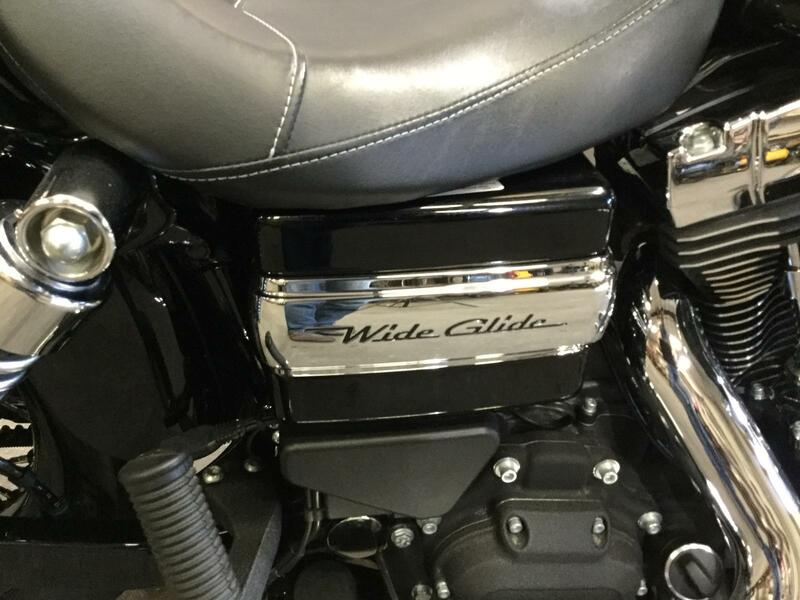 The bike also comes equipped with a set of Vance and Hines staggered Mid-Shot exhaust.